Modern businesses, regardless of their size and scale of audience, are finding it increasingly difficult to disregard the growing importance of incorporating technology into their practices. This is especially true for small and upcoming enterprises that have a lot at stake. The hazards of feigning ignorance or complacence about deploying state-of-the-art technology within the realm of invoicing are simply too many to ignore. Invoicing-Solving is the new mantra. Gone are the days when a vision-oriented business could afford to put up with the limitations of paper invoicing, wasting countless hours contorting documents, samples, and numbers to prepare a half-decent format. Corporate executives realize that their success lies in doing ‘more with less’when it comes to problem solving. In addition to the above limitations, there is also the risk of impacting your supply chain through obsolete mechanisms. Even in cases where businesses have adopted technological methods, this predicament of maintaining a robust supply chain remains apparent. 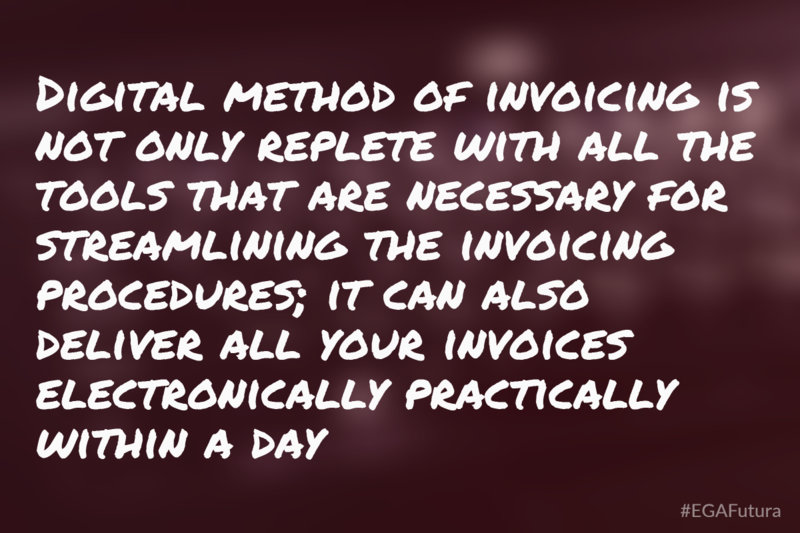 The answer is pretty simple, really- digital invoicing- which exemplifies the art of getting more by doing less. Digital Invoicing obliterates the tedium of manual entering and constant rechecking, which basically means that you can say goodbye to your erstwhile habit of struggling with complex word documents and spreadsheets. Select the customer to dispatch the solution invoice. It is this simplicity of operations that explains the burgeoning popularity of the digital system which transcends the scale of a commercial (or even a non-profit) entity. Many small businesses work every day for their clients but bill them on a monthly or bi-monthly basis. Digital invoicing is an absolute boon here because the software allows the accountants to carefully monitor the company’s workflow (hours or days they have invested and/or the number of items sold in a particular time-frame). At the time of invoicing, they just need to select a customer and click a button to automate the due charges. 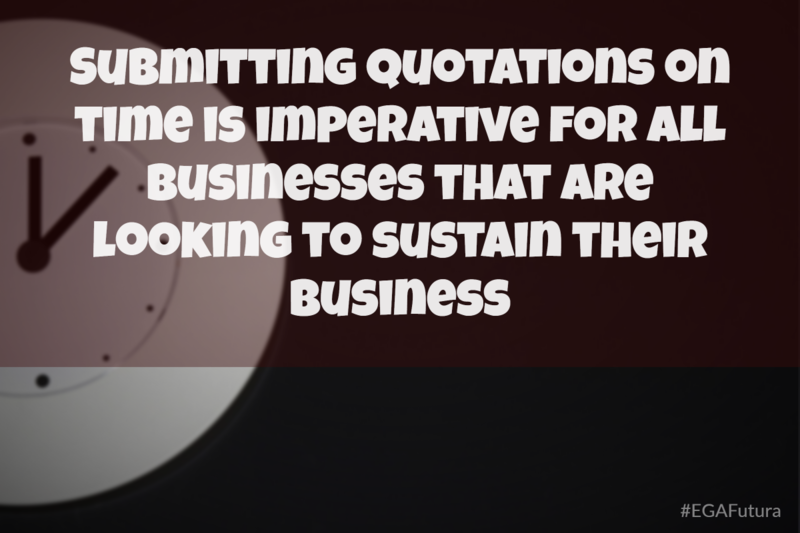 Submitting quotations on time is imperative for all businesses that are looking to sustain their business. Digital Invoicing does a brilliant job here by walking you through an easy-to-understand wizard setup processing that would get you started in no time at all. Better still, certain digital invoicing systems also provide you with the leeway to modify the clause/guidelines for different quotes should you deem fit. Enter the quotes, save the document, and simply import/export it - and you’re done. Meanwhile digital invoicing software also helps in the preparation of reports which can be printed or exported appropriately. In other words, you have the ability to personally select the quotation/invoice visuals of your choice and make poignant changes while attaching your brand logo. It is small nuances like these that can augment the efficacy of a firm’s financial system. Given the dynamic nature of ubiquitous competition that keeps companies on its toes, it makes a lot of sense to keep a tab on your fixed/variable expenses, specific project details, and your revenues. The system enables you to get a break-up of revenues for further analysis. This tells you exactly how much you earn and through what sources. The long-term benefit is also extended to the purview of expenditure monitoring. You no longer need to wonder as to how would you measure mileage against vehicles or derive the costs attributed to unproductive employees. In the end, you’ll be better placed to know how much money is being spent by whom and where is it going. This would obviously let you prepare a blueprint on how to go about taking corrective measures. Digital invoices also allay your fears of losing critical data through laptop breakdowns, hard disk corruption or lost pen drives. Most new software like exspand solution invoice processing stores sensitive data on the manufacturers’ thoroughly encrypted servers. Furthermore, regular backups are taken of data such as payable invoice workflow to ensure adequate security. Eliminating common mistakes by allowing the mechanism to automatically extract and categorize accounting-related invoice data and validate the same against credible sources. An easy, seamless integration into an ERP environment of your choice. Reduces the time needed to enter and view queries. Benefits of world-class interface for ERP systems. Helps in payable invoice workflow automation such as scanning the invoice. 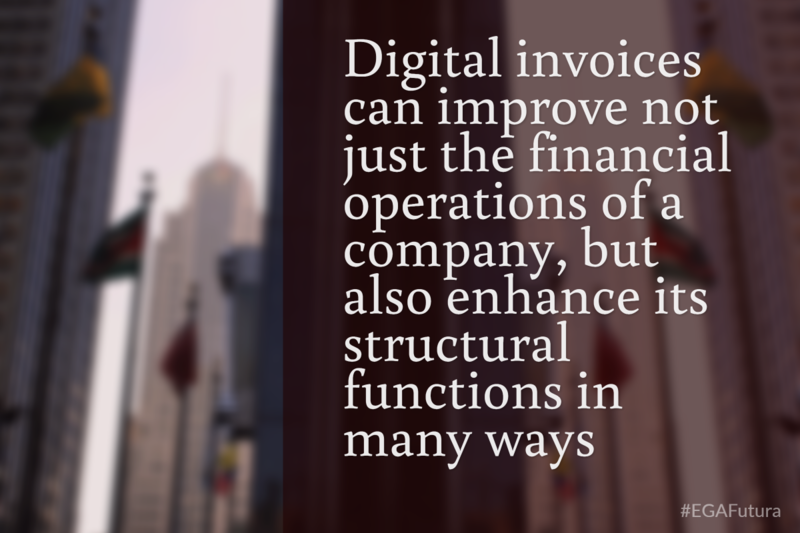 Here are a few things to be considered by businessmen and their accounts while deploying digital invoice. The loss of data even in advanced software remains a real threat, which is why businesses must ensure that the software company accommodates secure online backup, even if it means paying a higher fee. All digital invoices, including minor ones, must be backed up elsewhere (not on your network). Sometimes, digital invoices can also be hard to keep track of. This is why accountants would do well to keep a separate, identifiable number specific to that file. No two invoices must have the same number. These two aspects are two sides of the same coin. Make sure that you save the invoice in easy to open formats like Microsoft Excel and PDF, which can be opened by all. It is a good idea to refer to your accountant and know how they feel about pdf invoice. When the file is saved, it needs to be shared. You may want to typically entrust just one person (or a close-knit group) with the responsibility of maintaining the records. Make sure that only he/she has the ability to make changes in the files or extract them. Alternately, you can also establish a company-wide invoice protocol that covers the involvement of managers, tax specialists, accountants, and the billing department. 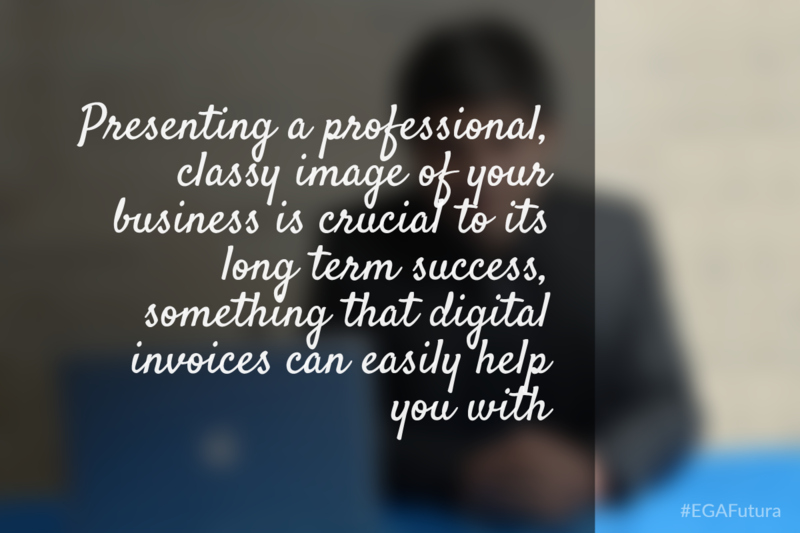 In the end, the pros of using digital invoices are far too many to ignore. When used judiciously and intelligently, they can improve not just the financial operations of a company, but also enhance its structural functions in many ways.